Our first IEO (Initial Exchange Offering) via IDCM is finally completed, and it reached 146.63%. We set a target of 3.75 million HUNTs (worth $75,000), but sold about 5.5 million HUNTs (worth approx $110K) far surpassing our target. This is a great sign proving that SMT (Smart Media Token) is an appealing project for external investors. Our IEO journey will continue via Probit Exchange, which will become the first-ever IEO to accept STEEM as a currency. Please check out the 2nd round details below. We believe that achieving this IEO successfully will encourage other DApp run IEOs to accept STEEM. If this is successful, other Steem DApps can take a similar track, which will increase the demand for STEEM. We are running an interesting referral program for our IEO collaborating with the Probit exchange. You will get 1% of your friend’s purchase when you refer him/her to sign-up to the Probit exchange. 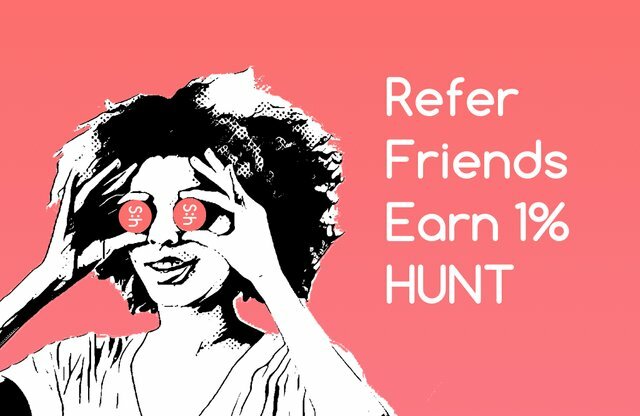 For example, if your referred friend purchases 100,000 HUNTs via the Probit IEO, you will get 1,000 bonus HUNTs. You can refer as many people as you want. 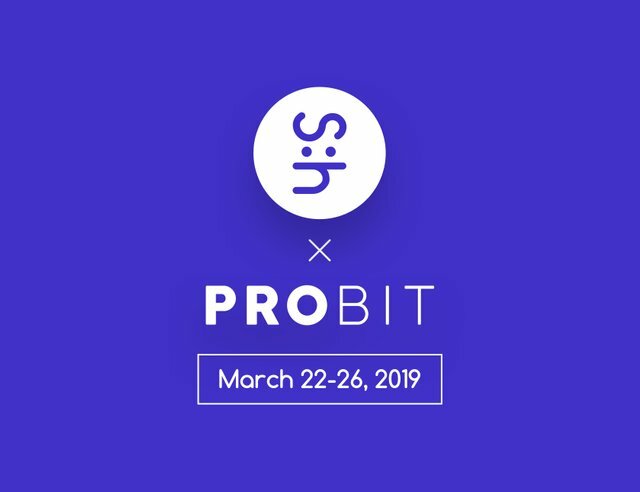 Please complete the KYC process via the Probit.com in-advance in order to grab the first 30 buyers bonus. It may take time to process your KYC request, so we recommend you complete the process before our sales begin. I would like to know what percentage of tokens did the external investors buy? We don't have the exact data, but I think more than 90% of investment came from the outside the Steem community. Hope they'll hodl it. Do you guys plan on having some withdraw period simular to power down? We will have a daily withdrawal limit on on our off-chain HUNT wallet (bounty tokens). That's very good and encouraging. Hi, i am omikhatun, don't mind please..Talking of the truth.You can earn money by making comments and can not earn without comment and due to the comments, you can correct their mistakes.I said exactly steemhunt. but have never given it a try! 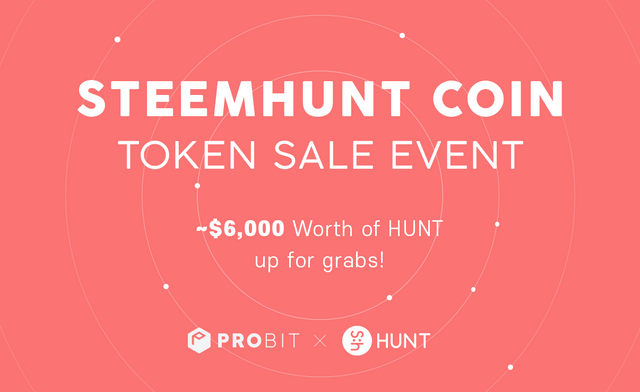 The Hunt token economy is growing by the day! I can't wait for ReviewHunt!!!! 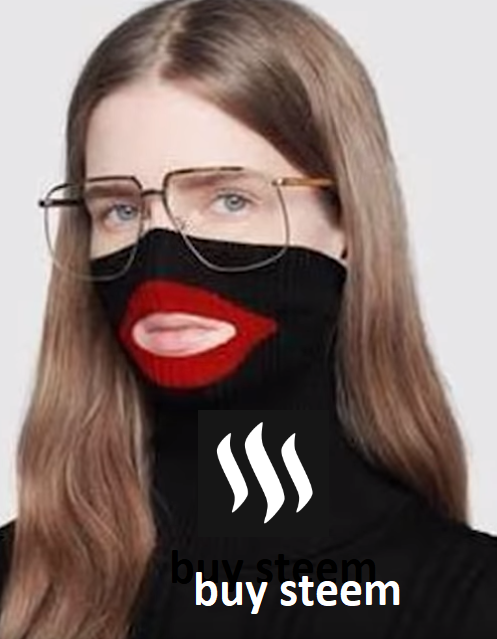 I want to buy this token,How many people have received this token? and we expect thousands more investors buy tokens via this IEO events. Hope you can participate the second round :) It starts in 20 hours now. super cool and incredible success, really cemented the steemhunt team for the first successful IEO that started from the steem blockchain, super awesome! forward motion we go! This is how it often starts, before you know it, #hunt had rocked the sky and #Steem will become inestimable treasure! 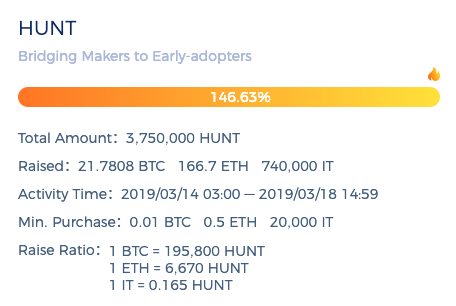 This is massive progress for all of us and I must commend your efforts @steemhunt team! Excellent that Probit Exchange accept our currency. I am so curious about cryptocurrency and thanks to this post I've got a new Idea. Untill now I'm still learning and searching about it. I love your post. best opportunity fo everyone. Really it's awesome blockchain platform. Very nice post Brother . I love your post..
Good opportunity fo everyone. Thanks for this post. Come on!Thank you for your posting. This post has received a 98.03 % upvote from @boomerang. @steemhunt purchased a 100.00% vote from @promobot on this post. make a friendship with each other by giving vote and commenting post.